San Miguel High School opened in 2004 to create a learning community where students from families of limited financial means have the opportunity to develop to their full potential, regardless of religious affiliation. A Cristo Rey Network® school sponsored by the Brothers of the Christian Schools, San Miguel celebrated its first graduating class in 2008. Most graduates will be the first in their family to complete high school and therefore the first to attend college. 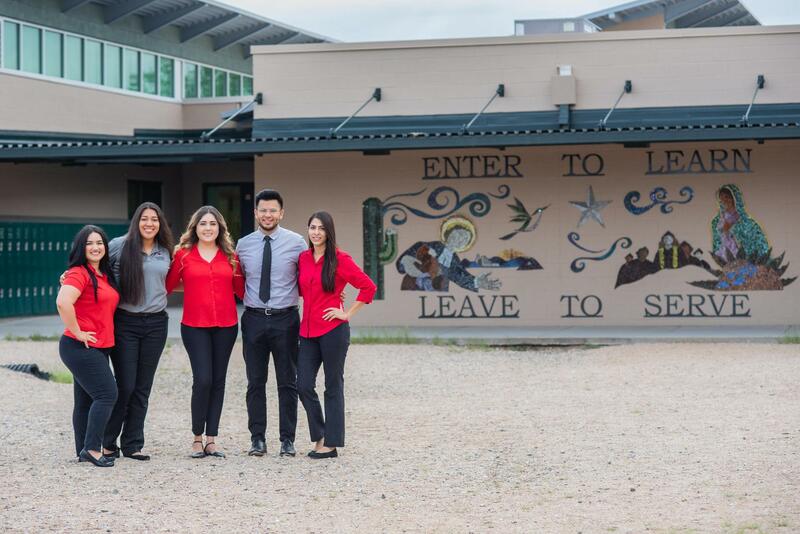 At San Miguel, students take a full college preparatory course load while simultaneously holding professional internships, working in corporations and earning nearly forty percent of their school tuition. The Corporate Work Study Program (CWSP) at San Miguel provides the important link between academic and career goals. Students are involved in meaningful work experiences and learn job skills that are transferable to other settings. They develop relationships with professionals who serve as mentors. 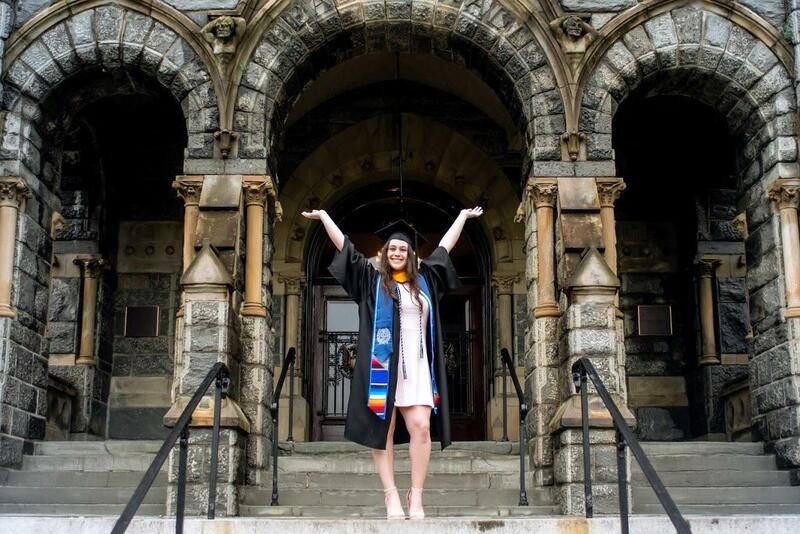 These experiences allow students to focus on their educational and career goals, which require both long-range planning and personal sacrifice. Without the emphasis on career development through CWSP, San Miguel would be just another private high school – a school with tuition costs that would make it impossible for the majority of our students to attend. 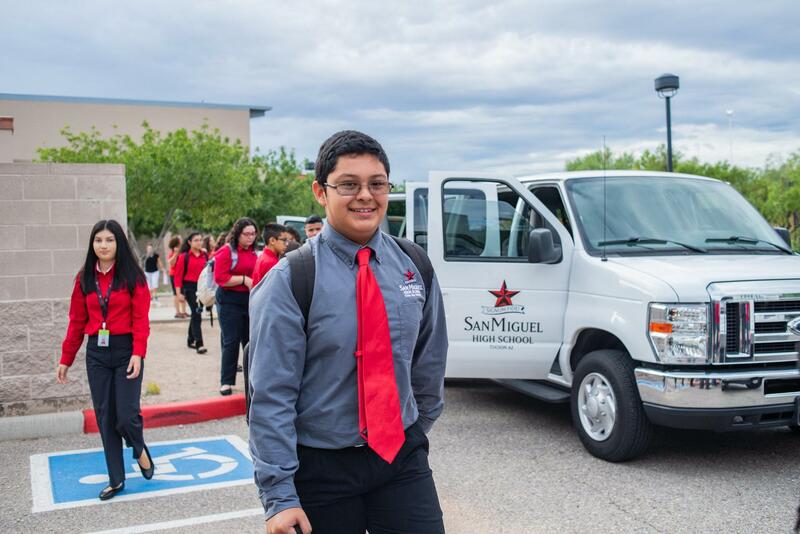 Students enrolled at San Miguel are expected to complete high school graduation requirements that exceed the state of Arizona minimums and include practical work experience. Additionally, each student is expected to attend college; beginning in the freshman year and continuing throughout, college counseling is provided to assist students in developing a personal portfolio used to apply to post-secondary institutions and compete for scholarship dollars. By the end of four years at San Miguel, our graduates are ready to enter a university environment with confidence in their educational preparedness and a determination to succeed in their chosen field. To date, San Miguel has graduated eleven classes of 622 total students. Upon graduation, each student has completed four years of professional work experience and has been admitted to multiple colleges and universities across the country. Due to their experience at San Miguel, our graduates are attending institutions nationwide and have been awarded large, merit-based scholarship and financial aid packages. San Miguel is a LaSallian School of the District of San Francisco and the District of New Orleans/Santa Fe, and is a member of the Cristo Rey Network. San Miguel currently has 350 students enrolled, supported by 27 teachers and numerous other staff members. ﻿Click here to learn more about becoming a San Miguel Viper!